Briana Hammons is a Research and Campaign Associate at the Fines and Fees Justice Center. She contributes to the maintenance of the Clearinghouse by selecting, reviewing, and translating policy reports, essays, videos, and research into digestible content for website viewers. She supports the efforts of the New York Campaign Director by serving as a point of contact for potential partners, conducting research, and assisting with the execution of campaigns. 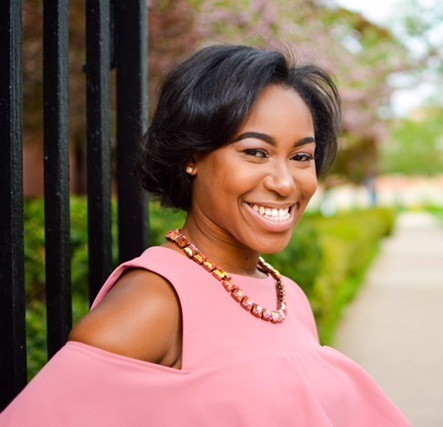 Before Briana joined the FFJC, she worked as a Senior Administrative assistant at a pharmaceutical company and as a legal secretary at a small law firm housed in the WestSide Justice Center in Chicago. She gained many transferable skills and discovered her passion for public interest work and interest in policy while interning with the ACLU and other impactful organizations during her undergraduate career. Briana graduated from Howard University with honors in May 2017 with a Bachelor of Arts in Political Science.